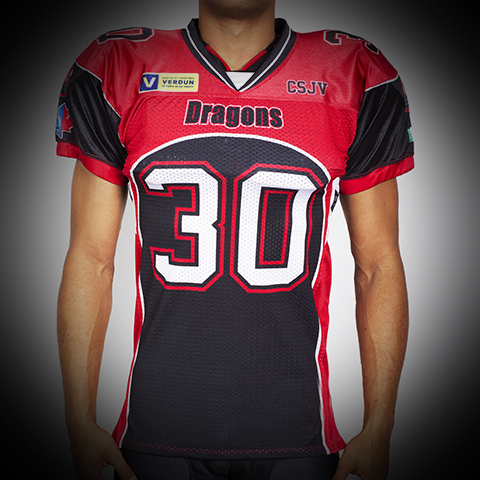 Our PRO VINTAGE SUBLIMATED FOOTBALL JERSEY is up for the challenge. The fit is more traditional but the look and construction are ALL PRO ! The Pro Dazzle shoulder and sleeve along with the 2 way stretch PRO BRIGHT mesh body makes it durable and you have the choice of a traditional look, or any creative designs could be applied.